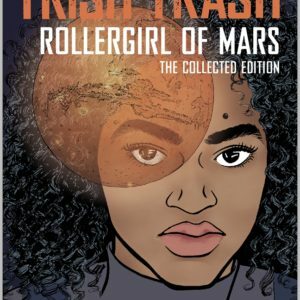 200 years from now, Trish “Trash” Nupindju lives on the newly inhabited Mars, whose settlers live under harsh and ruthless conditions. 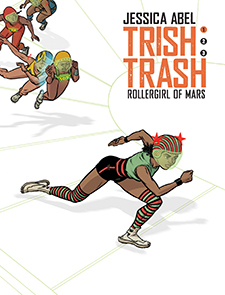 Trish dreams of only one thing: becoming a hoverderby star. It seems like making the professional derby team is the only way to escape a future of poverty on her parents’ farm. 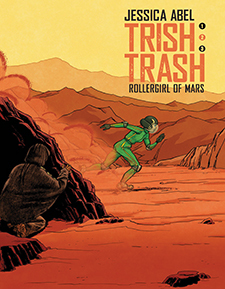 But, what happens when a half-dead Martian shows up on her doorstep and changes everything? Find out in the first volume of the new science fiction trilogy by acclaimed creator Jessica Abel. 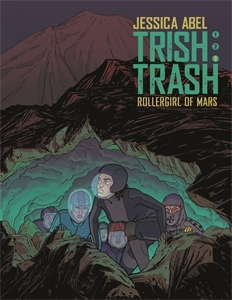 © 2014 Jessica Abel and Dargaud.